M.E. 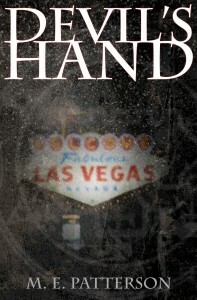 Patterson will be touring with Pump Up Your Book in October and November 2011 with his contemporary fantasy/supernatural thriller, Devil’s Hand. Trent Hawkins survived a 30,000-foot fall from a jetliner and became an overnight sensation — the Luckiest Man Alive. For years, his strange and unnatural luck made him the king of the Las Vegas poker scene. After years on the blacklist, despised by every high roller, he finds himself returning, with his wife, Susan, to his former stomping ground, only to be caught between a serial kidnapper, vengeful angels, poker-playing demons, and a magic-wielding thirteen year-old girl who stands unwittingly at the center of a fallen angel’s plot to end all of mankind in an unholy blizzard. As Las Vegas grinds to a halt, Trent is forced to make terrible sacrifices and must ultimately choose his role in the coming War, or watch our world fall to ruin beneath a blanket of shadow and ice. If you are a book blogger and would like to review Devil’s Hand, please email Dorothy Thompson at thewriterslife(at)gmail.com or fill out the convenient form here. Deadline for inquiries end October 25 or until the tour is filled. Thank you! 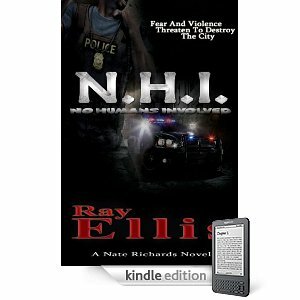 Ray Ellis is touring in June with his thriller novel, N.H.I. : No Humans Involved. Half of Treasure City is controlled by a violent street gang. The other half is controlled by fear. A rookie detective, Nate Richards, is thrust between the two. Abyss, a mysterious street gang moves into the valley and people have started dying. Nate’s girlfriend suddenly disappears and the gang is being targeted as the cause. With his partner fighting for her life – the result of a vigilante’s bullet, political pressure from above, and time running out to find his missing girlfriend, Nate has to overcome the darkness that has taken over the city and threatening to consume his soul. Forced to fight to stay on the case, he has to work against his command and the elements of the streets while trying to hold on to his faith that seems to make less and less sense as details unfold. With darkness growing and evil seeming to swell, will Nate have enough time to solve the murder and discover the identity of the new gang leader before his girlfriend becomes the latest victim in the growing violent total? Will he succumb to get the job done by any means necessary, or will he become part of the problem and prove that there are No Humans Involved? The body of the teenage boy lay face down in the gutter, his bandana, his colors, still clenched in his fist, floated in the water beside him. Blood mixed with rain raced in a gurgling stream down the drain splashing noisily as it made its way to the river. What had it gained him? What had he proved? These were a few of the questions that flashed through Detective Nate Richards’ mind as he studied the crime scene. Summer rain washed over Richards’ lean frame, soaking his loose brown curls to the scalp. Flexing a muscle in his jaw, he lifted a hand to wipe water from his face. The street light reflected off of his cocoa-colored skin twinkling in the early morning darkness. “Who’s calling the scene?” Nate asked the group of four uniformed officers standing near a row of patrol cars, their overhead lights casting a rainbow effect on the wet pavement. Three of the four uniformed men walked toward Nate. He looked between the men, and finding the corporal stripes directed his comments to them. “What d’ya’ got, Benson?” he asked, reading the name tag that went along with them. “Another one down. 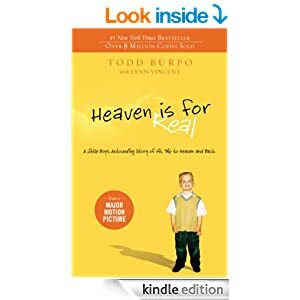 One less to worry about shooting me in the back,” Corporal Chad Benson muttered under his breath while using his hand to squeegee rainwater from his short blond hair. He chuckled to himself as he walked past the body headed for his patrol unit. He glanced at Nate as he passed. “Does the phrase crime scene integrity mean anything to you, Benson?” Nate said. The two uniformed officers with Benson smiled at their team commander’s remarks. One of the men stared at Nate, holding his gaze for an extra heart beat longer than necessary before turning away. Nate made a mental note to remember the men’s names. “You okay, Bens?” one of the other officers called and stepped toward Nate. “Johnson, right?” Nate asked, making sure he had the man’s name correct. “Is this the way you run a crime scene?” Nate had directed the question to Benson. Johnson looked at Nate but didn’t move. “You got a problem with that, Patrolman?” Nate asked. Without responding Nate turned away from the officer and approached the woman, hoping she hadn’t overheard Benson’s comments or noticed the patrolmen’s cavalier attitudes. The woman raised her dark eyes, like dead pools, lifeless and cold, to meet Nate’s expectant gaze. “What does it matter? We breed like rats anyway, right?” She pulled her jacket collar tight around her neck and turned away from him. “A pregnant rat,” she said, anger coloring her voice. Nate broke eye contact for the briefest of moments, but watched her, gauging her movements. “I apologize for the officer’s crudeness. There’s no excuse for his behavior. I also assure you that his is not the general attitude of the police department.” Nate was sincere in his response, but knew avoiding an officer complaint was a good idea as well. Nate looked over the woman’s shoulder at Officer Benson sitting in his patrol unit out of the rain and wished that it was Benson standing in the rain having to explain the bad behavior instead of him. Benson sat leaning back in the passenger’s seat stuffing the last of something into his mouth. “I don’t care. You want to assure me you don’t see my son as some kind of second class citizen? You find the man who killed him and you make him pay.” She walked away, her shoulders heaving as she struggled against the sobs shaking her entire body. Stopping a short distance away, she leaned against the wall and stood there absorbed by the shadows. Nate clenched and then relaxed his fist. 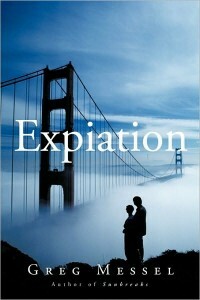 He inhaled and blew out his breath in one explosive sigh, water vapor springing from around his lips. Without speaking he turned and walked away. Kneeling beside the body, he began his investigation while fighting to control his anger at Benson’s callous behavior. If you would like to review N.H.I., No Humans Involved, email us by clicking here or email Dorothy Thompson at thewriterslife@yahoo.com. Deadline for inquiries end May 25 or until the tour is filled. Thank you! 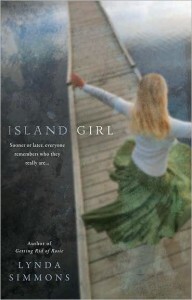 Lynda Simmons is touring in June 2011 with her fiction literary novel, Island Girl. What Would You Do If You Were Told You Had Alzheimer’s? Island Girl is the emotionally riveting story of a 55 year old mother, Ruby Donaldson, fighting to reunite her family as she struggles with the diagnosis of early on-set Alzheimer’s. Ruby refuses to let the disease control her future, but first she must find a way to convince her older daughter Liz to grow up and come home; to take her place as head of the family thereby securing the future of their home on the Island, and ensuring that Liz’s younger sister, Grace, will be cared for in the only place that is safe for her. But there are good reasons why Liz and Ruby have been estranged for years, and Liz can only wonder why she should forgive her mother a lifetime of sins just because she’s sick. Does Alzheimer’s grant Ruby instant immunity, a moral get-out-of-jail-free card? Ruby always thought she’d have a lifetime to make things right, but suddenly time is running out. You can visit her website at www.lyndasimmons.com. If you would like to review Island Girl, email us by clicking here or email Dorothy Thompson at thewriterslife@yahoo.com. Deadline for inquiries end May 25 or until the tour is filled. Thank you!